THE overwhelming majority of the inhabitants of the Ongula yaNetanga district of the Ondonga tribal area speak Oshikwanyama as their mother tongue. The reason for this curious fact remained a mystery to many, at least until last Saturday when veteran politician Kanana Nghishoono used the funeral of late senior traditional councillor Peter Shimweefeleni Kauluma to reveal the story behind the story. Nghishoono noted that in the 1900s when the war between Ovakwanyama and the colonial occupation forces intensified, King Mandume Ya Ndemufayo informed his subjects that in the case of his death in combat, they should migrate southwards to seek the protection of King Martin Kadhikwa of the Ondonga tribe. Mandume died on 6 February 1917 and many of his subjects fled to Ondonga. To solve the problem of so many Ovakwanyama “refugees” entering his territory, King Kadhikwa implemented what Nghishoono described as probably the first ever “resettlement and rehabilitation programme” in Namibia whereby displaced Ovakwanyama were resettled in the area now known as Ongula yaNetanga. Until today, this Ondonga district is overwhelmingly populated by Oshikwanyama-speaking Namibians. “Some people label us as Ovakwanyama and try to ostracise us, but we are not Ovakwanyama. 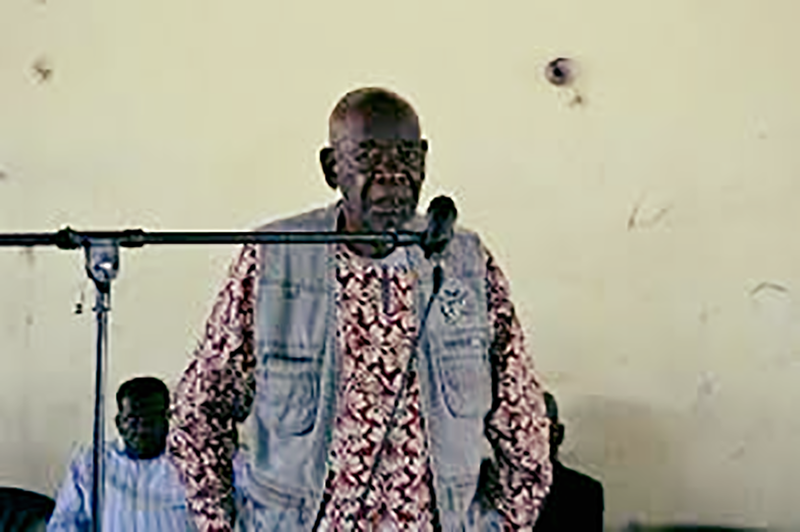 We are Aandonga,” said Nghishoono who is himself the headman of Onambutu village. Ondonga has over the years proven to be the most accommodating tribe in the north, where people of diverse ethnic backgrounds are welcomed with open arms, allocated land and even given leadership positions, but voices were heard in recent years demanding that “aliens” who hold leadership positions be deposed and their positions given to “genuine” Aandonga. Late Kauluma was one of four senior traditional councillors of Ondonga who were dismissed by King Elifas in 2017. However they contested their dismissal in the High Court and the case is still pending. 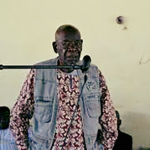 Nghishoono narrated that late Kauluma was born in Ongula yaNetanga 94 years ago; attended the English-medium Saint Mary School at Odibo; worked in the French embassy in South Africa; was one of the pioneers of Namibia’s liberation politics together with the likes of Toivo Ya Toivo and Peter Mweshihange; was imprisoned and deported back to Namibia; was appointed by King Elifas as the head of the Ongula yaNetanga district in 1982 and served as chairman of the Ondonga Traditional Authority for the past 37 years. Kauluma died in a Windhoek hospital earlier this month and was buried at his home village on 16 February.